Just in case you were worried that there would be no Hutts in Star Wars: The Force Awakens, rest your mind my Hutt-loving friends. According to Latino Review, the slimy beasts will be a part of the plot of J.J. Abrams’ new movie. 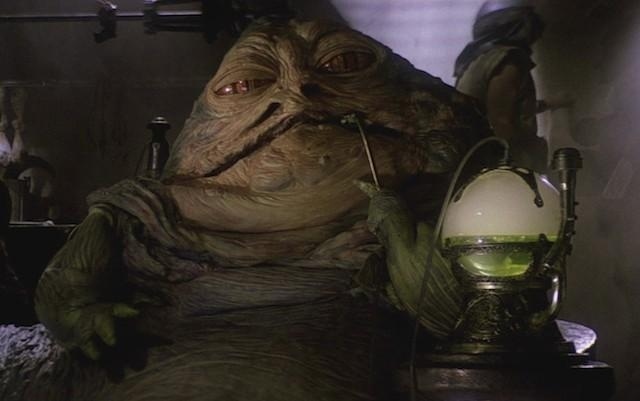 Apparently there will be “more than one” Hutt featured and they were built using practical effects instead of CGI. We don’t know if these Hutts will be related to Jabba though. For all we know, it’s product placement and we will see some Pizza the Hutts. They have the best pizza in the galaxy. Nah. Construction of the Hutts apparently began more than a year ago and may be connected to some pieces of concept art showing Princess Leia meeting with the Hutts. It’s all guesswork right now, but it will be nice to have these chubby slugs back again.